Konica Minolta Healthcare has chosen Yusen Logistics to provide a range of logistics services in Europe. Yusen will manage the storage and international distribution of KM Healthcare’s complete systems, spare parts and consumables. KM Healthcare manufacturers digital X-ray systems and other medical equipment for hospitals and clinics. As well as storage and warehousing, Yusen will handle the healthcare company’s in and outbound good flows, kitting and labelling. The logistics company will operate from its Antwerp distribution centre in Melsele, Belgium. “It is important to Konica Minolta to have a logistics partner that offers a wide range of services”. In particular, for the export it is important that all planning, documentation and handling of goods will be accurately taken care of. 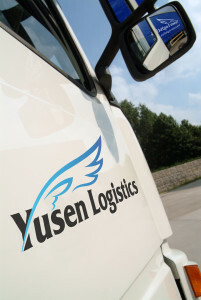 Yusen Logistics possesses these abilities and we are therefore looking forward to a good co-operation,” said Judith Schut, supply chain manager for KM Healthcare EMEA.